Gelato is available in many mouth-watering combinations, all offered in personalized ice cream cups. One of the all-time favorites is blood orange. A key ingredient is Arancia Rossa, a product of Sicilian origin. The ingredient that goes into making Blood Orange are all obtained from their original sources and style to provide you the original smooth taste of orange. 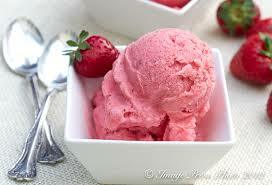 Raspberry is another one of the most popular gelato flavors. This plump and delicate fruit filled with sweet, natural nectar is used to create the original gelato flavor, Lampone. It possesses significantly higher anti-oxidant properties than strawberries, kiwi fruit and tomatoes. Raspberry Sorbetto is a true health food, equivalent to spending a day at the spa. The product is fat-free, dairy-free and free of allergens and gluten. Another delightful product that is a complete palate cleanser is the lemon sorbet. Made from fresh and naturally ripened lemons, it provides an incredibly delightful flavor, to rejuvenate both the body and the soul. The Passion Papaya is also another exotic sorbet, which captures the true essence of passion fruit and papaya in a delightful combination. If apple is what you are crazy about, then the Green Apple is the closest you can get to experience the unmistakable tart taste of fresh green apples. Use your imagination to add a touch of caramel to enrich the experience. The best gelato flavors come unmistakably from the sweet, smooth taste of the king of fruits – mango. full of vitamins, minerals and antioxidants. The best alphonso mangoes are used to create this rich, creamy and fat-free flavor. A classic and original product that is an all-time favorite over the world is hazelnut. Made from the best Piedmont region hazelnuts and roasted to just the right degree of crispness, it exudes a sweet and nutty flavor. When blended with the velvety gelato base from San Gelato Caf, it creates a killer combination. The taste lingers on for hours after you have savored it. Gelato Products specializes in ice-cream supplies for various occasions. Some of their products offerings include gelato cups and spoons along with coffee cups and lids.